It is those whose oppose the reality of the pre-Tribulational rapture who make an issue out of the rapture being a 'quiet secretive event.' The rapture is not the Second Advent. Christ returns for the church at the rapture as described in 1 Cor. 15:51-52; Phil. 3:20; 1 Thess. 1:10 and 4:13-17; 1 Tim. 6:14;Titus 2:13; Rev. 22:20. In a separate event, Christ returns to the earth to fulfill the prophecies with regard to Israel's national regathering as recorded in 2 Sam. 7:8-17; Zech. 12:8; Luke 1:31-33; 1 Cor. 15:24. The actual return is recorded in Revelation 19:11-16. As already shown, the raptured church is in Heaven in Revelation 19:7-8 prior to Christ's return to the earth. You do realize that Revelation is not chronological right? What about Revelation 19:7-8 tells you that it is not referencing a time after Christ's 2nd Coming? How can literal Israel still be considered "God's people" in light of 1 John 2:21-23? Your question regarding 2 Thess. 2:3-4 is covered in detail in the link 'The Rapture of the Church' starting about paragraph 15 or 16. Before the antichrist is revealed, the restraining influence of the Holy Spirit must be lifted. When the church is raptured, although the Holy Spirit will not be taken away, His restraining influence will be taken out of the way. Who is the only other person, in all of scripture, referred to as the "son of perdition"? Do you feel that the temple spoken of in 2 Thess. 2:3-4 is a place that God feels is Holy? The links that I post are for the edification of those who will go into them and study them. Whether you personally choose to view them or not is your own affair. I'm not about to waste my time going to some link that you think refutes the reality of the pre-Tribulational rapture. I already know what the post-tribbers and mid-tribbers think. I do recommend however that you go into my links. But as I say, that is your affair. 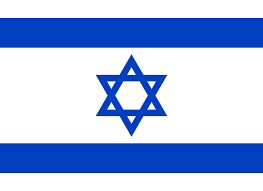 the covenant is given to Israel and Israel ALONE. NOT some church. If you are either native born OR you are engrafted into the commonwealth of Israel, you ARE a part of the covenant indeed. But the Ch-rch has it all wrong. They think they have replaced Israel. It was NEVER stated and it NEVER will be so. The Messiah is coming back for Israel (all 12 tribes Yahudah and the other 11) make NO mistake about it. Get on the Hebrew (crossed over) train or be misled....it's YOUR choice. Leave your Greco-Roman thinking (stinkin thinkin) behind and get with the REAL plan. DCISIVE!!!!!!!! !!!!!!!! !...HEY BROTHER!.....and I say, "AMEN!!!!!!!! to the above!" That says it all. Israel is where Abraham, Isaac and Jacob is. Ahh yes, indeed, Israel is for those that believe and partake in the promises given to Avraham, Yitzak and Ya'acov. As well as those things prescribed by YHVH as they did in their day for the blessings. he covenant is given to Israel and Israel ALONE. NOT some church. If you are either native born OR you are engrafted into the commonwealth of Israel, you ARE a part of the covenant indeed. If the Covenant was given to ethnic Israel alone then logically how could gentiles be part of it when they have no blood lineage to Abraham? If gentiles share in the same blessings then they are Israel, plain and simple. If it was exclusive to ethnic Israel only we could not be in it and therefore 2 New Covenants. One with ethnic Israel the other with gentiles. But the Ch-rch has it all wrong. They think they have replaced Israel. It was NEVER stated and it NEVER will be so. The Messiah is coming back for Israel (all 12 tribes Yahudah and the other 11) make NO mistake about it. Get on the Hebrew (crossed over) train or be misled....it's YOUR choice. Leave your Greco-Roman thinking (stinkin thinkin) behind and get with the REAL plan. The Church began with believing Jews first. The believing Jews of the 1st century were the remnant of Israel spoken of by God. Gentiles were then added to the Church as well. Scripture was clear that "There is no Jew or Gentile" in Christ. If there is no Jew or Gentile in God's eyes but only those of faith(Israel) and those of unbelief(non-believer's) how can we still state that a Jew or Gentile means anything in the eyes of God? The idea of replacement theology is not correct but even your view disregards the believing Jews of the 1st Century who were the Church. Peter the disciple was to be the head of the Church. Peter was a Jew and he believed the Gospel and died for it. To state that ethnic Israel is separate from the Church is also Replacement Theology because it removes the promises given in Christ away from any Jew until an endtime event while Jews today are sharing in those promises as they come to Christ. Inadvertantly stating that ethnic Israel has a plan that is only in effect for only one generation is replacement theology when you are taking away the plan that is available now and has been for 2000+ years to ethnic Israel. Why take the promises away that are in effect now? Good point. There were no Gentile Christians at this point. 31 Then the churches[d] throughout all Judea, Galilee, and Samaria had peace and were edified. And walking in the fear of the Lord and in the comfort of the Holy Spirit, they were multiplied. Its not even a Hebrew symbol. Curious God would raise a pagan flag on his creation. Then we are in agreement, believing Jews are Israel and believing gentiles are Israel. Why are we on different pages? I think it is in regard to ethnic Israel today who are unbelievers and who have been (most) for the past 2000 years. I think our disagreement is where the jews today have some sort of prophetic significance. I think you believe that the Old Covenant is somehow still in effect since you believe the promises have not been fulfilled and that somehow the Old Covenant was unconditional and therefore ethnic Israel today is still under that promise and since they are now in a land their own they will somehow in the future reign as a saved people separate from the Church. Am I correct in stating this?